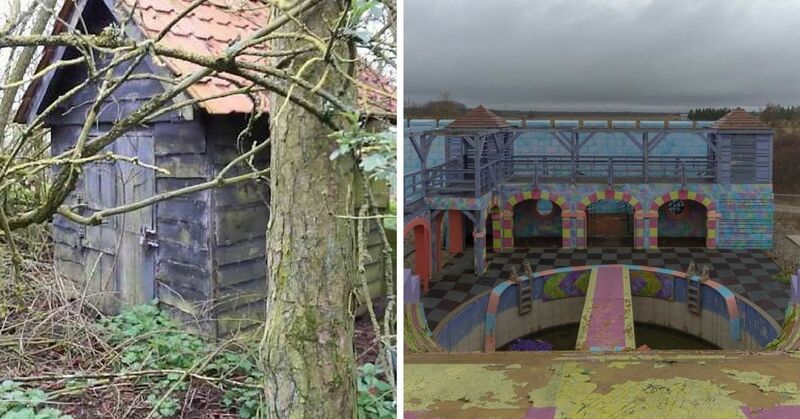 I think we can all agree that abandoned theme parks are one of the most interesting places on the planet. 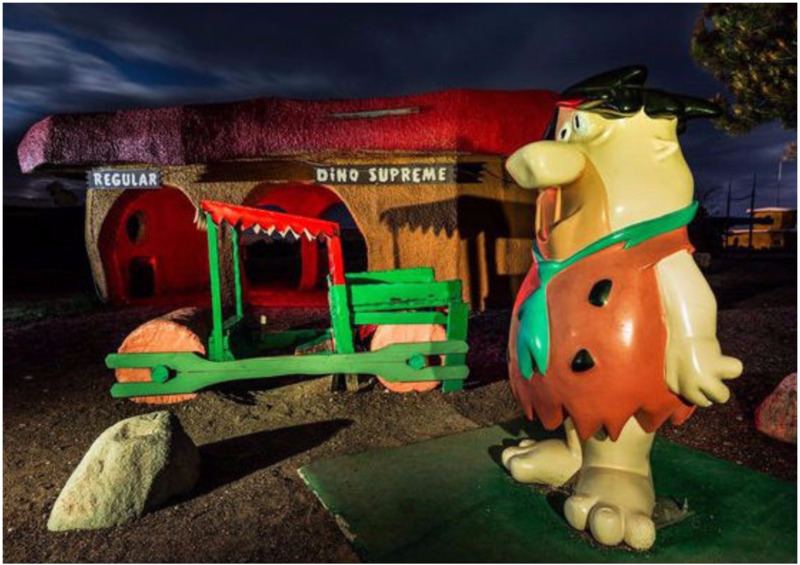 Between the haunted figures left behind, and the run-down rides that look like they belong in a horror movie, they are just super fun to look at. But honestly, it doesn't even need to be a theme park. Abandoned places tend to be fascinating no matter what they are. 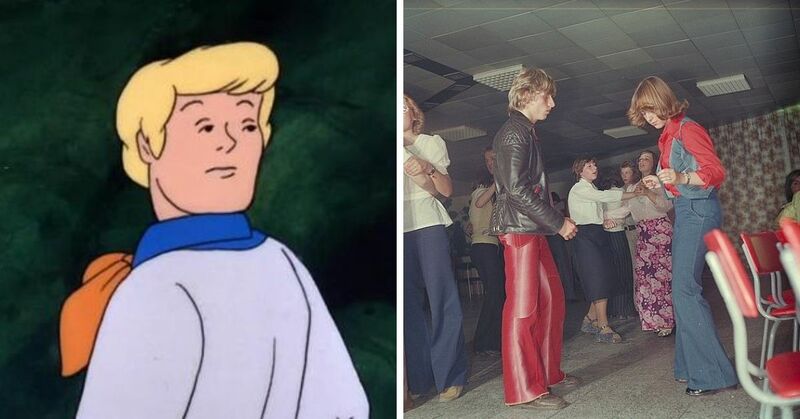 However, I think we can all agree that the more unusual it is, the better. 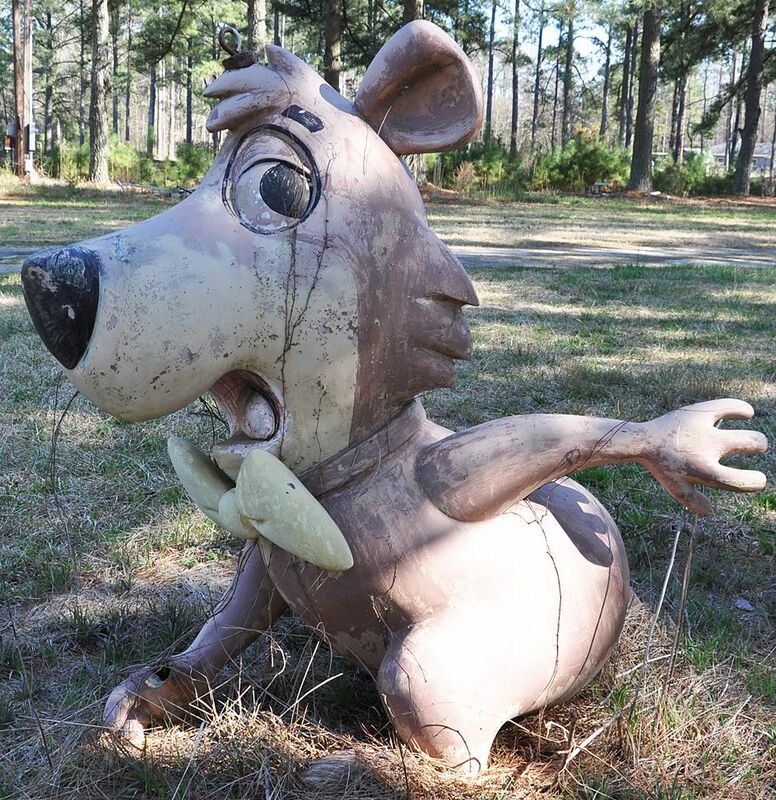 Well, the latest place that has taken the internet by storm is a forest known as the "Yogi Bear Graveyard." 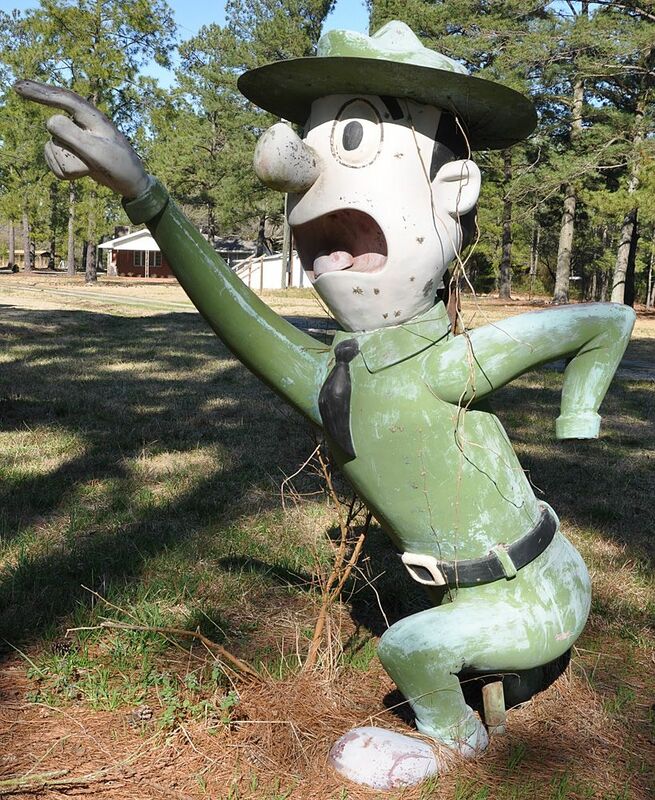 While it's been cleaned up in recent years, at one point there was a large area that was completely littered with big Yogi Bear statues. 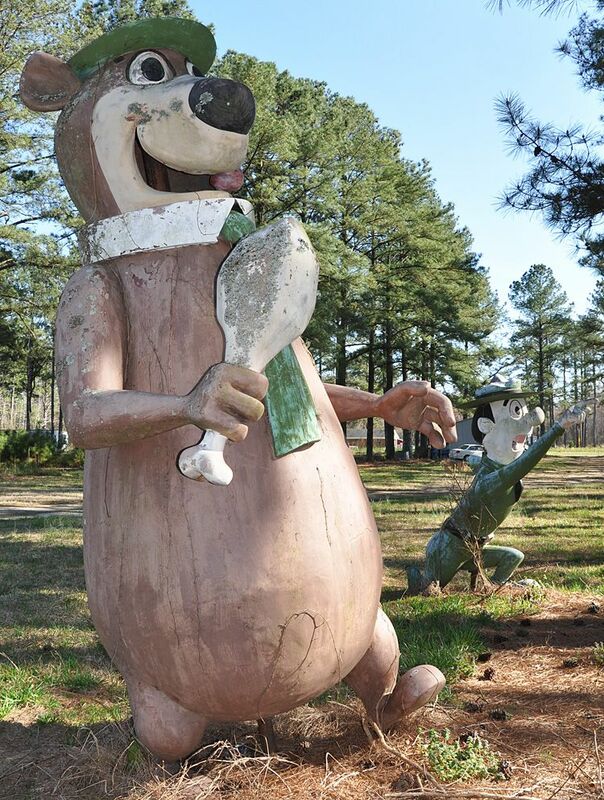 But why is there a bunch of Yogi Bear statues in the first place? 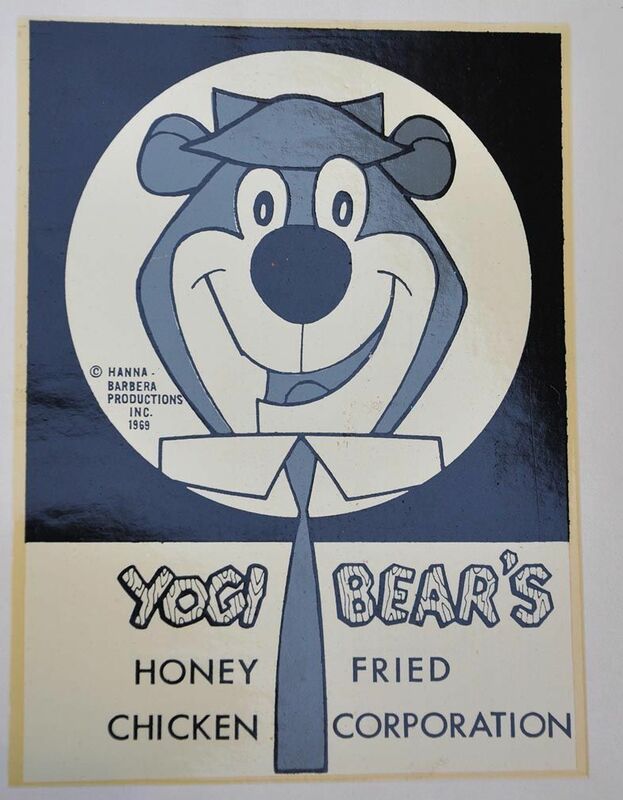 Well, there was actually a restaurant chain called Yogi Bear Honey Fried Chicken that started in the 1960s as a way to capitalize on the popularity of the cartoon. They sold chicken, claiming it wasn't as greasy as KFC and obviously would be perfect for your pic-a-nic baskets. 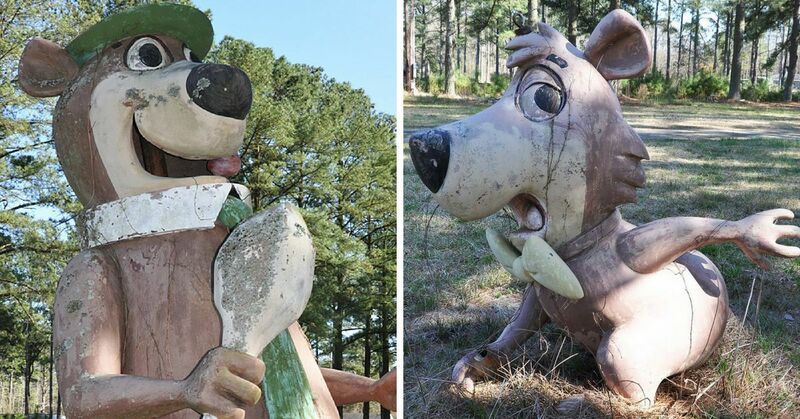 But when all but one of the restaurants closed down across the country, they were left with a whole lot of Yogi Bear, Boo-Boo, and Ranger Smith statues and they didn't know what to do with them. Their solution may not have been the most glamorous option, but it got the job done I guess. 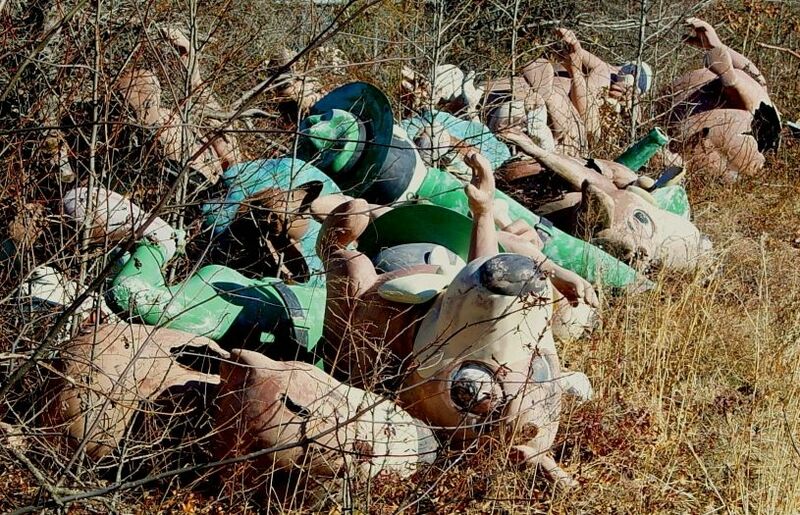 Instead of sending them all to a dump, the company seemed to just dump all the statues in a forest. Very quickly it became known as the "Yogi Bear Garveyard." 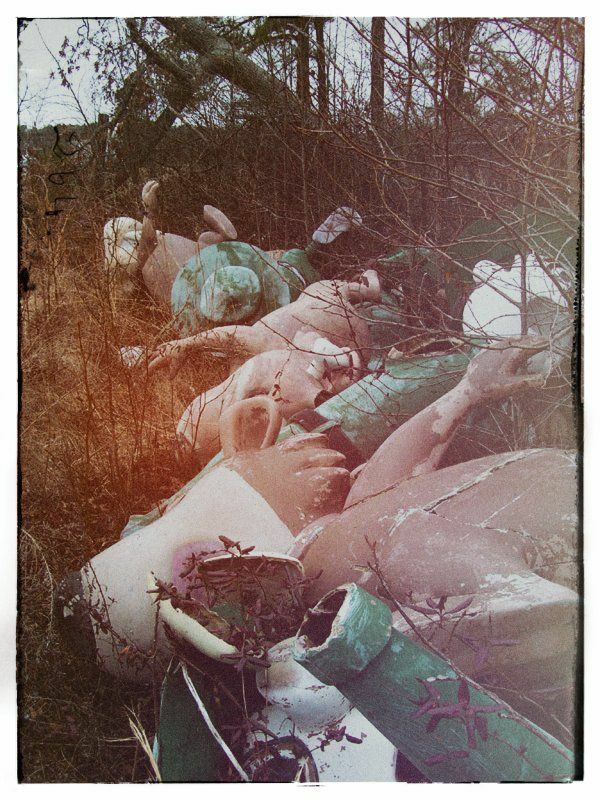 The photos of it are absolutely haunting, but in the best way imaginable. It really looks like Ranger Smith needs someone to lend him a hand. I feel like there should be a shrine of pic-a-nic baskets in their honor. Boo-Boo may have lost his right thumb, but he held onto that bowtie! 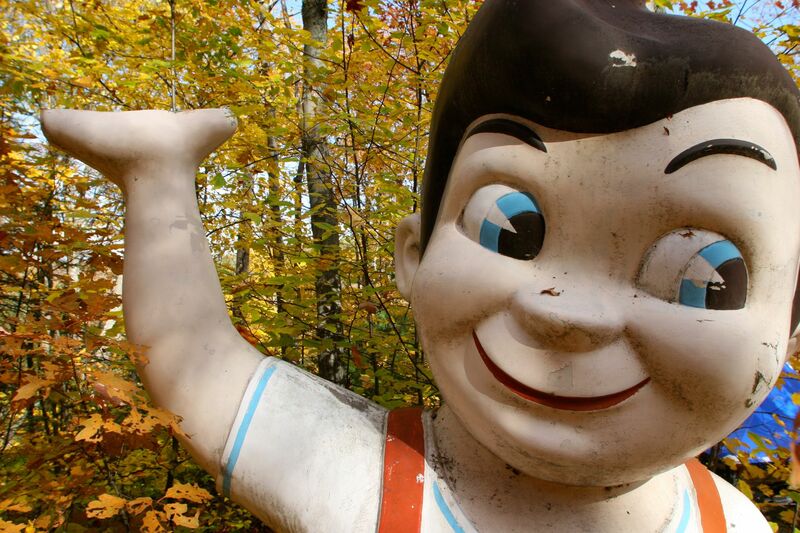 But these aren't the only fast food mascots that have been abandoned. 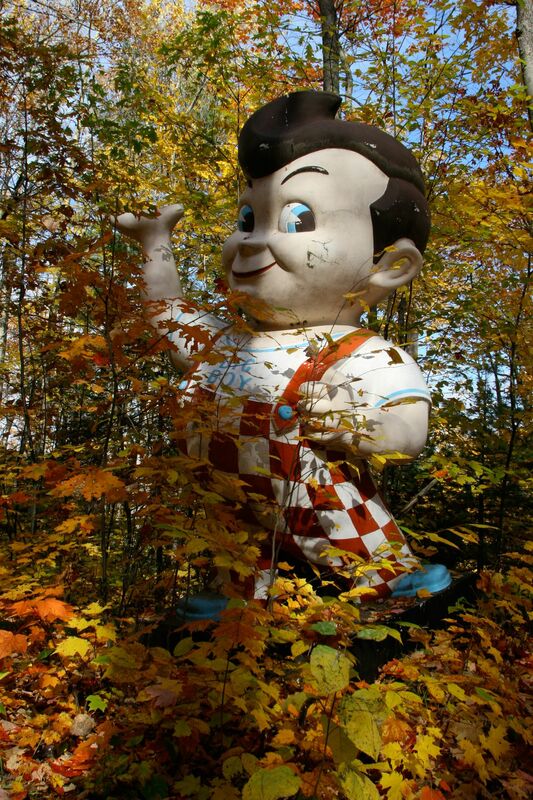 There's also an entire lot that's filled with the mascot from Big Boy, and honestly, they are way creepier than Yogi and friends. There apparently used to be a lot more of them, but it has been cleaned up significantly, leaving behind only a few creepy smiling faces watching you from inside the trees. 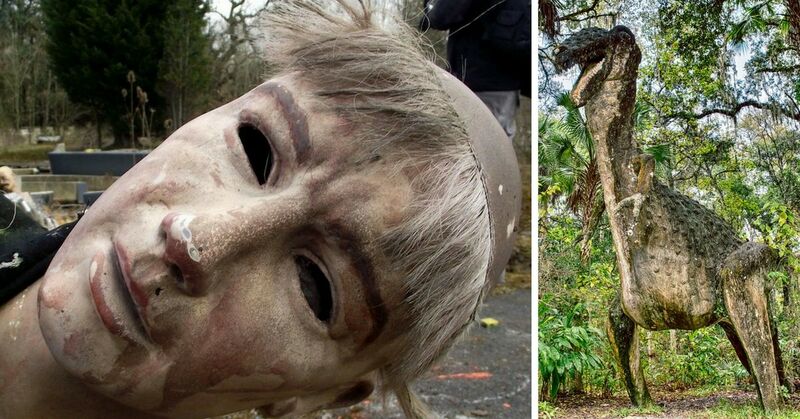 Personally, I think that it would be really fun to go explore these abandoned statues! Would you ever go visit one of these places?